I love how our country is so diverse—our landscapes, our people, and my favorite, our food. Our country is so big that no matter what region you travel to, you can find a new flavor to introduce to your family. I’m always trying to find ways to change up some of my go-to meals and to help develop my son Kai’s sometimes-picky palette. 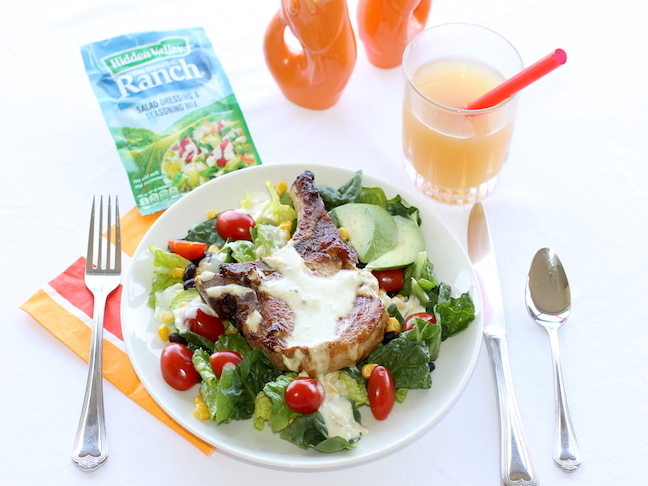 Here are three ways to enhance and add new flavors from all over our country to a basic pork chop recipe. 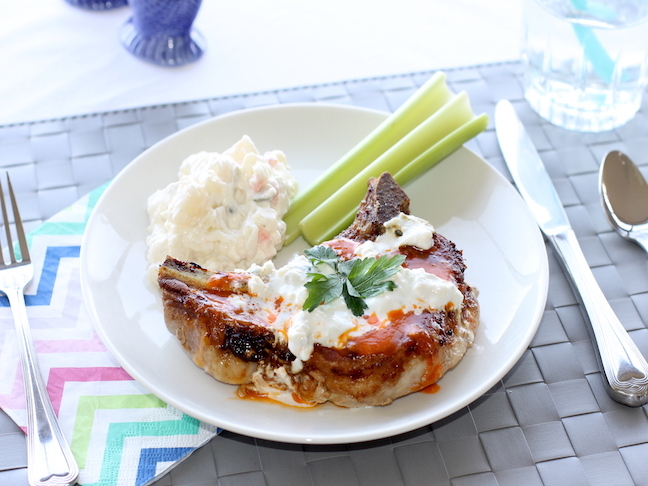 If your family loves Buffalo chicken, they are going to dig this spicy pork chop recipe. 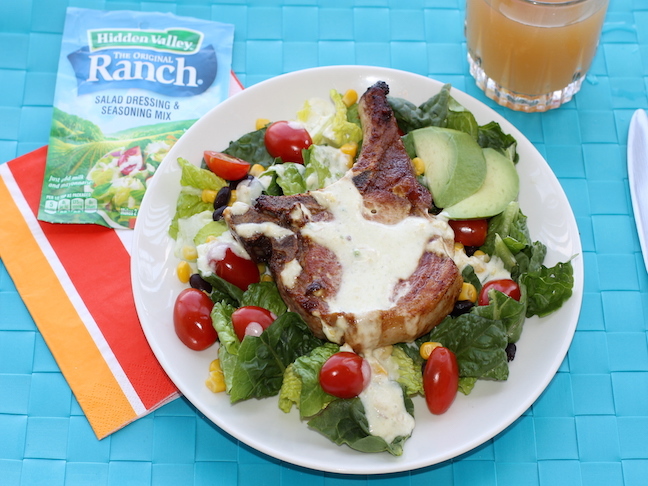 Personally, I love healthy salads (and sometimes Kai even does, too), so I thought it’d be fun to make a tasty Southwest salad complete with an avocado dressing on top of a pork chop. 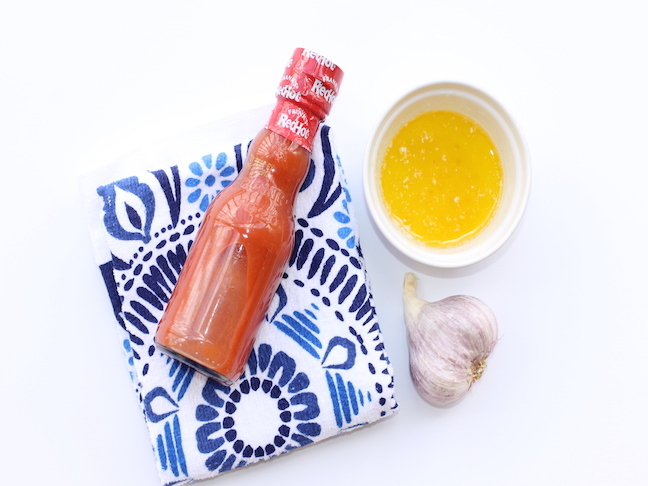 The last recipe that I wanted to share is a great one for your picky eaters. 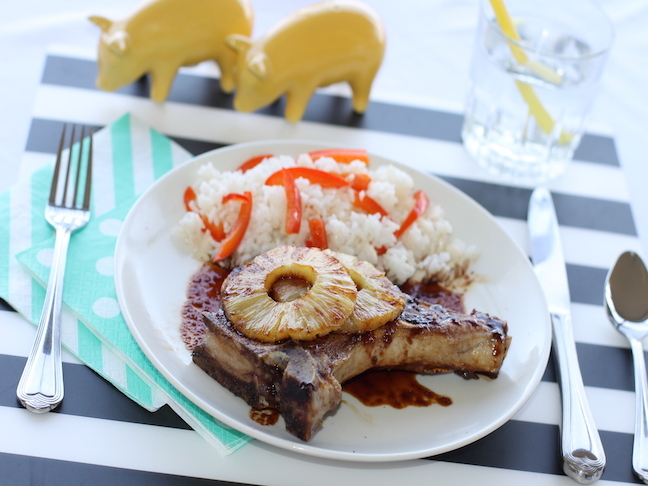 This Hawaiian teriyaki pork chop recipe topped with caramelized pineapple rings is sweet (for the kids), yet savory (for the adults). 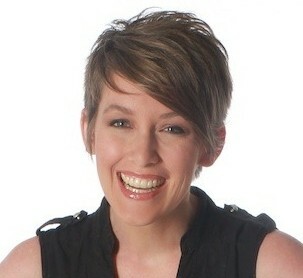 All recipes serve 4, plus extra dressing. Step 1: In a large skillet, heat olive oil on medium high heat. Step 2: Sauté pork chop in salt and olive oil until it’s thoroughly cooked and the pork has reached an internal temperature of 165ºF and the juices run clear. Step 1: Melt 3 tablespoons of butter in a saucepan. Step 2: Add ⅓ of a cup of Louisiana style hot sauce. Step 3: Add 1 tsp of minced garlic. 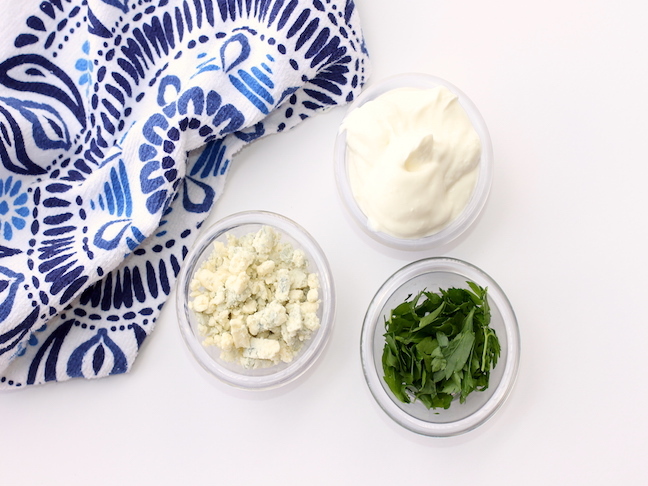 Step 4: Mix together ⅓ cup of sour cream, ⅓ cup of plain Greek yogurt, 4 oz of crumbled blue cheese, minced parsley to taste, and a pinch of salt. Step 5: Pour the hot sauce over the cooked pork chops. Drizzle the blue cheese dressing on top. 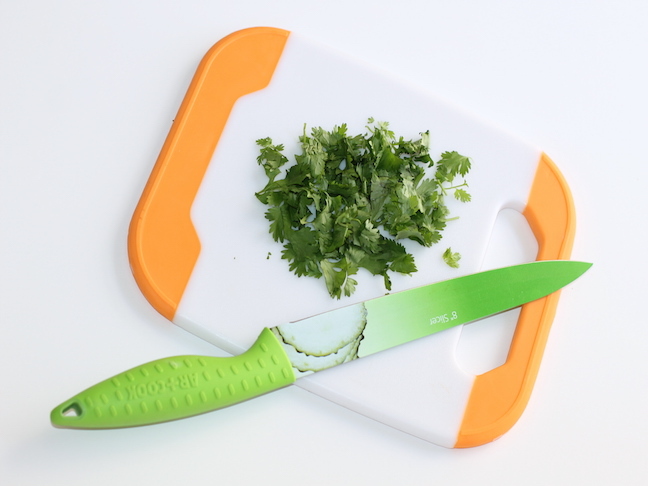 Serve with celery sticks and my suggested side dish: potato salad. Step 2: Sauté pork chop in salt and olive oil until it’s thoroughly cooked to an internal temperature of 145 °F. 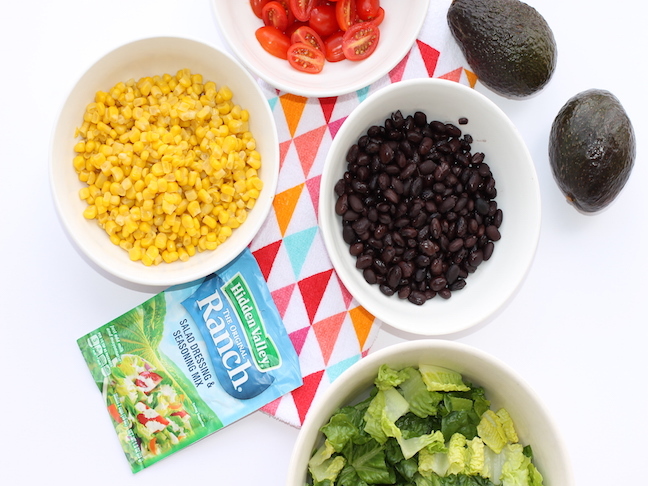 Step 3: Assemble a salad using romaine lettuce, tomatoes, avocado slices from one avocado, corn, and black beans. Step 4: Lay the cooked pork chops on top. 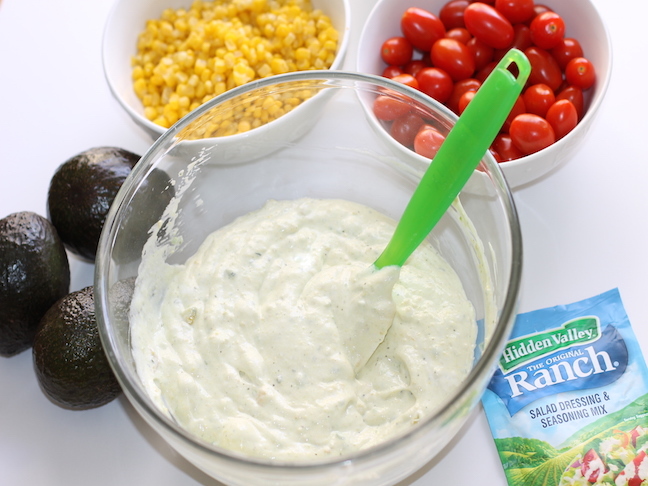 Step 5: To make the dressing, blend one ripe avocado, 2 cups of sour cream, and 1 packet of Hidden Valley Original Ranch Salad Dressing & Seasoning Mix until smooth. Step 6: Drizzle ⅓ of the dressing over the assembled salad. 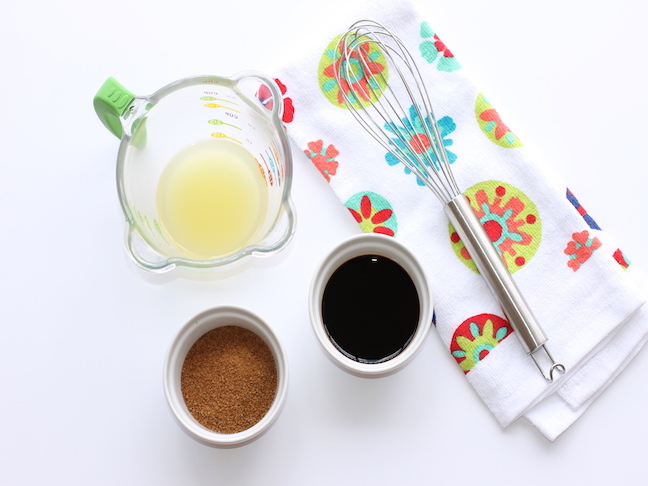 Step 1: To make the teriyaki pineapple sauce, whisk together ¼ cup of brown sugar, ¼ cup of soy sauce, ⅓ cup of pineapple juice, 1 tsp of onion powder, and 2 tsp of minced garlic. Simmer for about 10–15 minutes, stirring consistently. 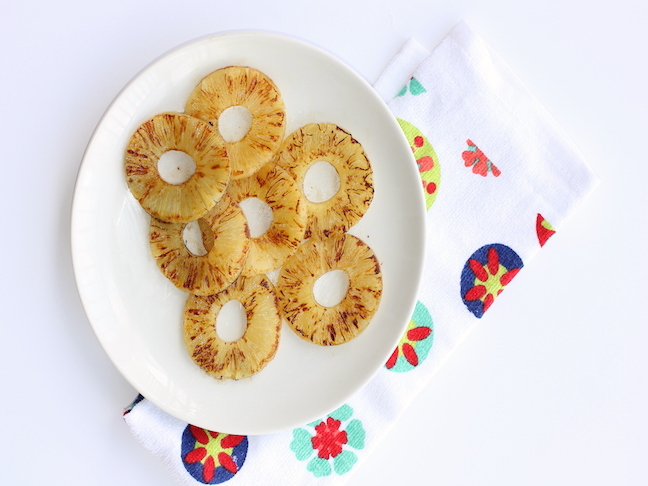 Step 2: Sauté pineapple rings until caramelized, about 8 minutes. Step 3: To assemble, drizzle teriyaki sauce on top of cooked pork chops. Add caramelized pineapple rings on top. 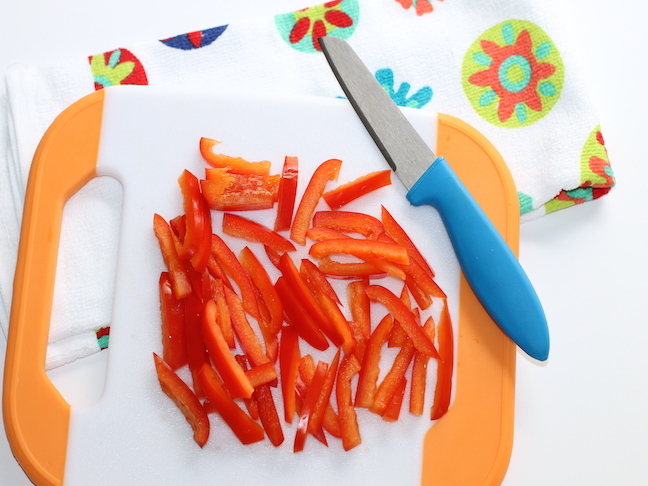 Step 4: Serve with sautéed red peppers and rice.